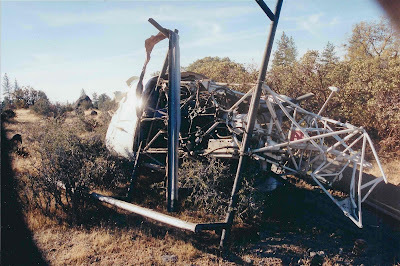 In 2002 my wife and I were in a severe helicopter crash. By all accounts we shouldn't have survived. The crash resulted in multiple injuries including a head trauma to my wife. The trauma from the impact set in motion a chain reaction of neurological problems and short circuiting of normal function. ALL medical treatment in the first 90 days after the crash lead to more and more side effects. After exhausting ALL standard medical care had to offer and the bleak prognosis given, I went on a quest to find better answers. My philosophy has always been to give the bodies innate ability to heal the best chance possible. After about one year my wife was still having a lot of neurological challenges. At a large Chiropractic conference in Las Vegas I was introduced to Dr Roger Turner, world renowned cranial adjusting specialist from Canada. I was intrigued as I watched him examine and treat patient after patient, many of them seeing almost instantaneous change including my wife. Her severe headache was relieved and the tremors were noticeably improved after just one adjustment. This opened my eyes to how adjusting the bones of the skull can directly affect brain function.It also gave me hope that there were many treatments performed by brain specialists around the world that can enhance healing and create better brain activity without medication. Physical examination of the skull will often uncover areas that show residual signs of trauma and need proper treatment. Evaluation and Cranial adjusting has been documented back to 200 B.C. in China and popularized in the 1700s in Britain. Phrenology was the name given to the first scientific study of the shapes, distortions, bumps and alignment of the 22 bones of the skull. Through treatment the early phrenologists documented their findings as to the distortions of the skull and their relationship to the organs resulting in health conditions. I made it my quest to continue to learn from the experts the best ways to evaluate and treat the brain and nervous system without medication. Cranial adjusting created almost miraculous results for my wife and the hundreds of patients I have been blessed to care for since the learning the treatment. Many times a trauma can lead to a tragedy and it is difficult to understand why something happened. I believe that this tragedy was turned into a triumph by sheer persistence and never giving up. It's up to us the determine what choices we make or the emotions we associate to our lessons in life. The trauma also led My wife down a path to share her knowledge from this healing journey to become a Chopra certified Ayurvedic Practitioner. We never know what twists and turns life will give us. As I look back 10 years later I know that I was able to help many people with treatment from the knowledge I learned. It's up to us to turn tragedy into a TRIUMPH.